Doing your laundry can be such a chore sometimes! 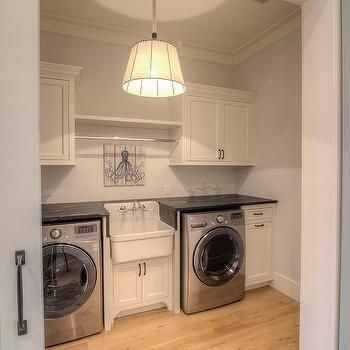 What if you could liven up your laundry room and turn this chore into a pleasant experience which transports you to the beach? Well, with the ideas below you can do just that! 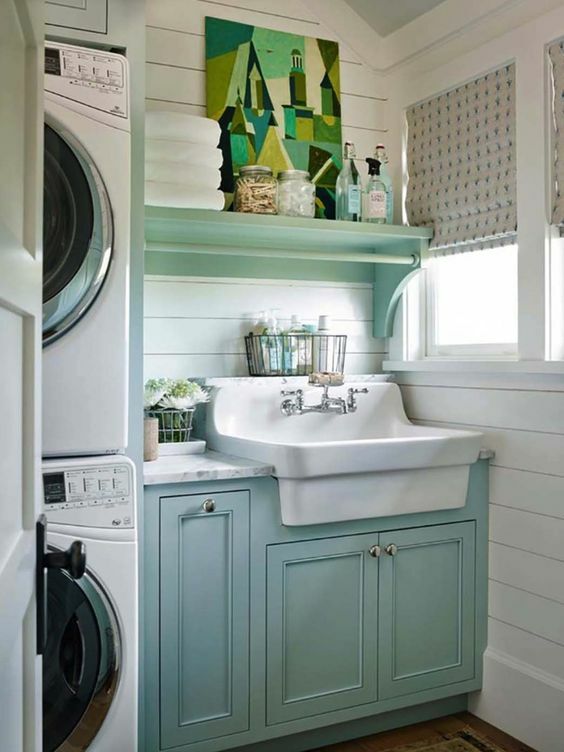 Blues, whites and ocean-themed items surround the laundry machines. Star fish decorations and mollusk artwork bring the sea into the room. 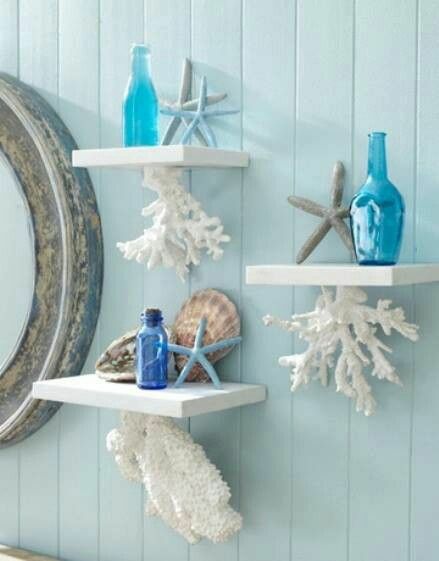 Blue glass bottles, bleached coral, sea shells and starfish decorations on simple shelves. 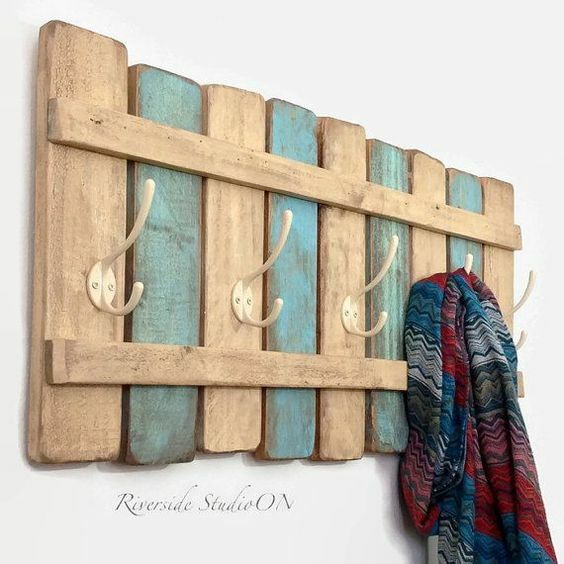 Driftwood finish coat hook resembling a seaside village fence. 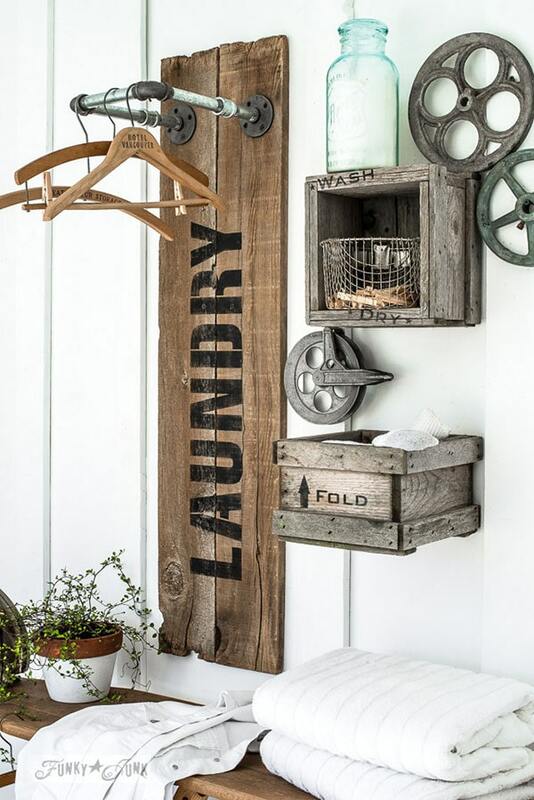 It gives you a relaxed feeling – and a great place to hang some things that don’t need to go on the line! 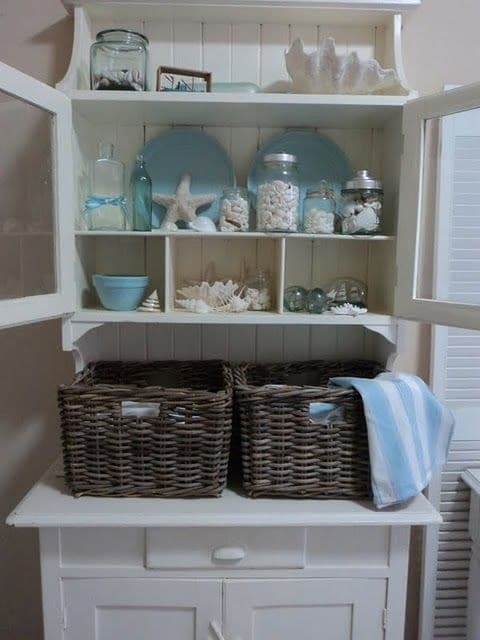 A simple white cupboard with laundry baskets and shelves filled with sea shells, glass jars of shells, glass bottles and starfish. Blue crockery and ship-in-bottles complete the sea-like arrangement. Seaglass green or aqua cupboards and shelves paired with bright whites. Small wicker towel hampers and decorative towel holders go well with multi-hued tiling. 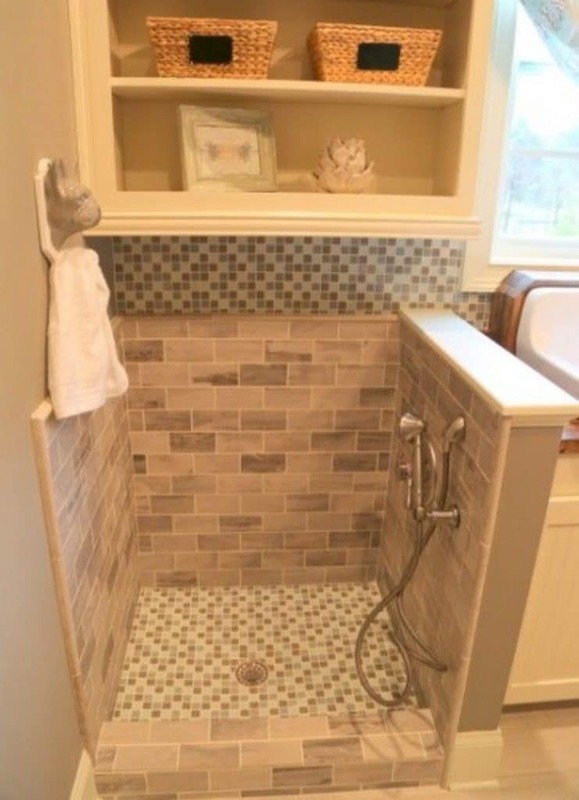 And a half-height shower like this is great for a mudroom or laundry room that doubles as an entry – clean the sand off your feet when you come back from your sunset stroll! 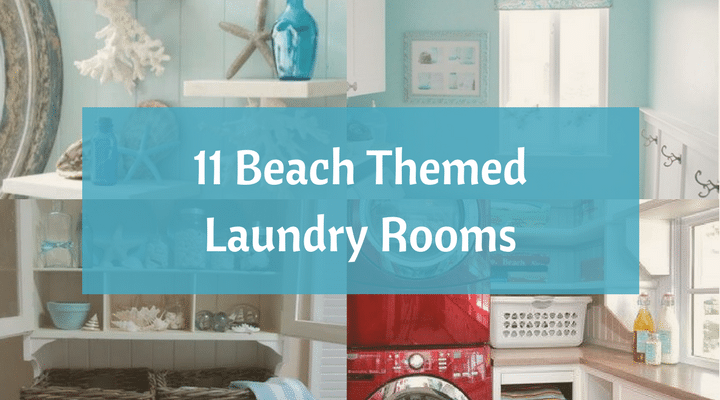 Pale blue walls, white cabinets and starfish cutouts bring the ocean into your laundry room. Use red wicker baskets for a nice contrast. 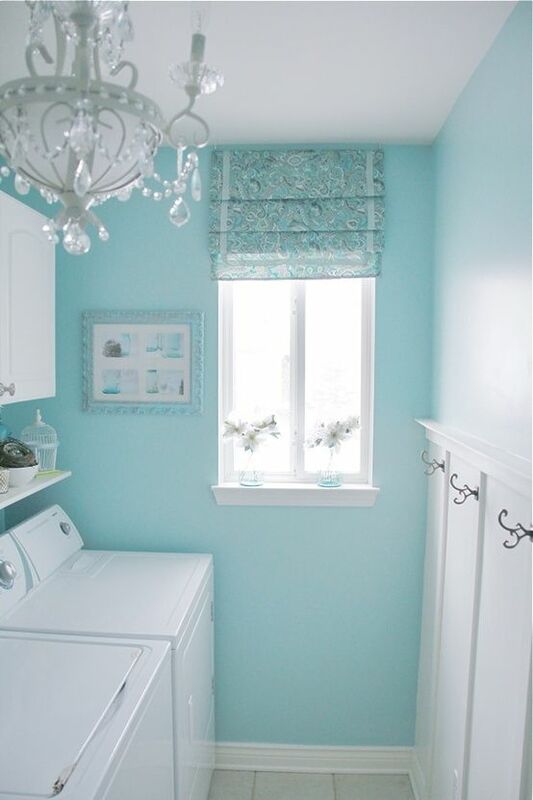 Even the smallest laundry alcoves can be given an oceanic theme with blue sliding partitions. White sinks and cabinets pair well with blue-tinted walls. Add sea animal decorations to complete the effect. Vintage industrial meets driftwood furniture in this classic look. Glass bottles, gears and wheels go well with the worn wood and metal pipes. Balancing the palettes of blues and whites gets you perfect results. Ornate chandeliers and patterned blinds can bring some contrast to the simple lines of your laundry room. 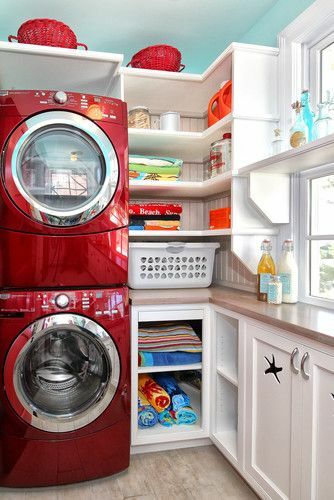 Giving a gorgeous beach makeover to your laundry room need neither be expensive nor time-consuming. The right decorations such as starfish, sea shells, prints, and the like can help you achieve the required look. 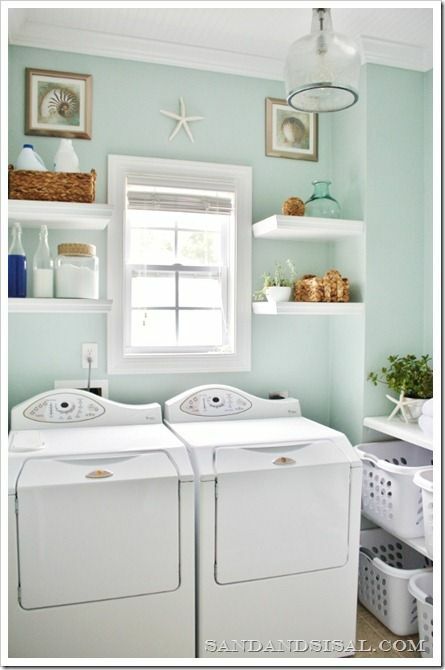 Once you’ve decorated your laundry in an ocean theme, doing a few wash cycles will never be the same!